NEW ORLEANS – DeMarcus Cousins’ third All-Star Game as a Sacramento King apparently was his last. The Kings traded forwards Cousins and Omri Casspi to the New Orleans Pelicans on Sunday night for rookie guard Buddy Hield, ex-King Tyreke Evans, Langston Galloway and 2017 first- and second-round picks, league sources confirmed Sunday night. 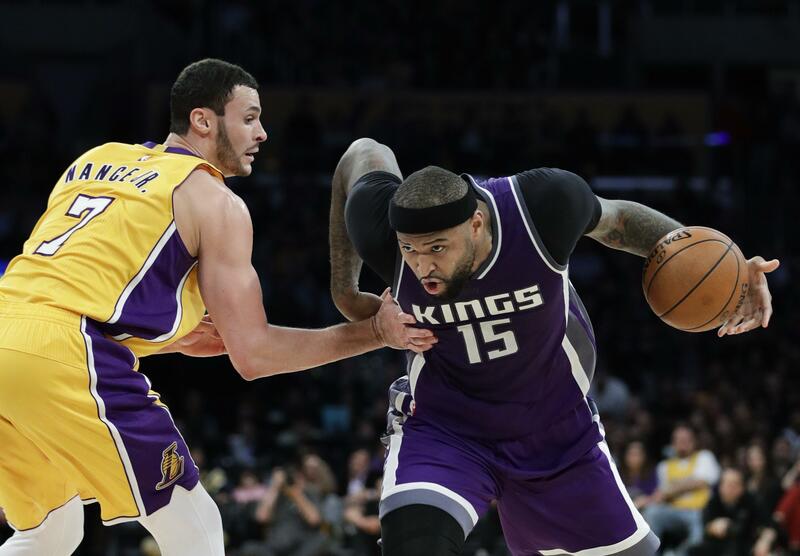 The Kings repeatedly had stated publicly they would not trade Cousins. That changed on a weekend when he was being celebrated for his play this season. The move means Sacramento essentially has given up on making the playoffs even though they sit just 1 1/2 games behind Denver for the final spot in the Western Conference. So rather than possibly play the Golden State Warriors in the first round of the playoffs, the Kings will look to add more young players. They have not reached the playoffs since 2006. Sacramento stands to lose its first-round pick to Chicago if it is outside of the top 10 from a 2011 trade for J.J. Hickson. A Kings team without Cousins and Rudy Gay, out for the season with a torn Achilles tendon, figures to plummet in the standings. Cousins played only two minutes in the Western Conference’s 192-182 victory Sunday night at Smoothie King Center. That was at Cousins’ request, as he has been feeling worn down. After the game, Cousins was asked about rumors he was headed to New Orleans and if he would like playing for the Pelicans. The Kings had publicly declared their allegiance to Cousins and planned to offer him a contract extension exceeding $200 million in the offseason. Kings general manager Vlade Divac privately had promised Cousins and his agent that he would not trade him. Cousins said he wanted to spend his career in Sacramento and retire a King. For a team that already has trouble getting top draft prospects to come in for workouts, it could hurt the Kings’ credibility with future free agents, which had been on shaky ground in recent seasons. The moves signifies a shift from adding veterans and relying on young players to build for the future. Cousins led the Kings with averages of 27.8 points, 10.6 rebounds and 4.8 assists. The key building piece the Kings acquired was Hield, a shooting guard who was the sixth pick in last year’s draft out of Oklahoma. He’s averaging 8.6 points this season. Evans was the NBA Rookie of the Year with the Kings in 2010 when he averaged 20.1 points, his best scoring season. He’s in the last year of a four-year deal and has been limited to 26 games this season due to injuries and is averaging a career-low 9.5 points. Galloway is a third-year guard averaging 8.6 points. Casspi has been out since Jan. 16 with a calf injury. He’s averaging 5.9 points in 26 games this season. So Cousins last time being announced as a King was at Sunday’s All-Star Game, played at the arena that will now be his home. Cousins is from Mobile, Alabama, which isn’t too far from New Orleans, and he always had a lot of family and friends at games when the Kings were in town. Published: Feb. 19, 2017, 9:13 p.m.